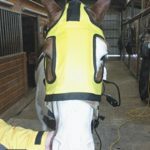 While the Thermotex Horse Blanket is built to last, sometimes events occur that can fray or break the switch. While this is very unusual and rare occurrence, a replacement switch may be needed. This is the switch only and does not include the infrared heating pads or wire harness. We are able to ship the blanket to you direct from the manufacturer in Alberta, Canada, by DHL Air Express. For delivery in the United States, your package will normally arrive within 2 to 3 business days. You do not need to choose priority shipping for this product as this is already the fastest delivery option available! 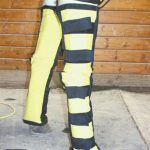 Thermotex Equine products ship to you directly by DHL air from the manufacturer in Alberta, Canada, and may not arrive in the same package or at the same time as other products you order from Pain Relief Essentials. 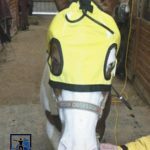 With our price included shipping, your horse blanket replacement switch will usually arrive withing 3 business days (often next day for morning orders) to locations within the United States. 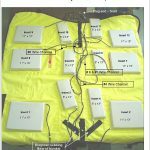 The Thermotex Infrared Horse Blanket Replacement switch is not eligible for discount coupons. NOTE: For hygienic and health reasons, used equine and pet products are not returnable. Product ships from Manufacturer direct to you by air.